This is the Japanese language trailer for upcoming thriller Heavy Rain. The voice acting seems synched up just right, and it looks like Sony and French developer Quantic Dream are giving the game the care and attention it deserves to ensure its a global hit. 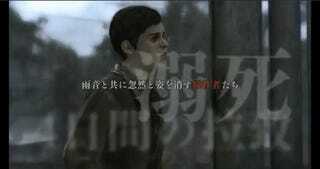 Heavy Rain is slated for release next month.